Home > Educational Materials > Chemistry Educational Materials > Applied Chemistry Learning Activities > Ward's® AP Chemistry Investigation 8: Redox Titrations: How Much H2O2 is Actually in the Bottle? Ward's® AP Chemistry Investigation 8: Redox Titrations: How Much H2O2 is Actually in the Bottle? 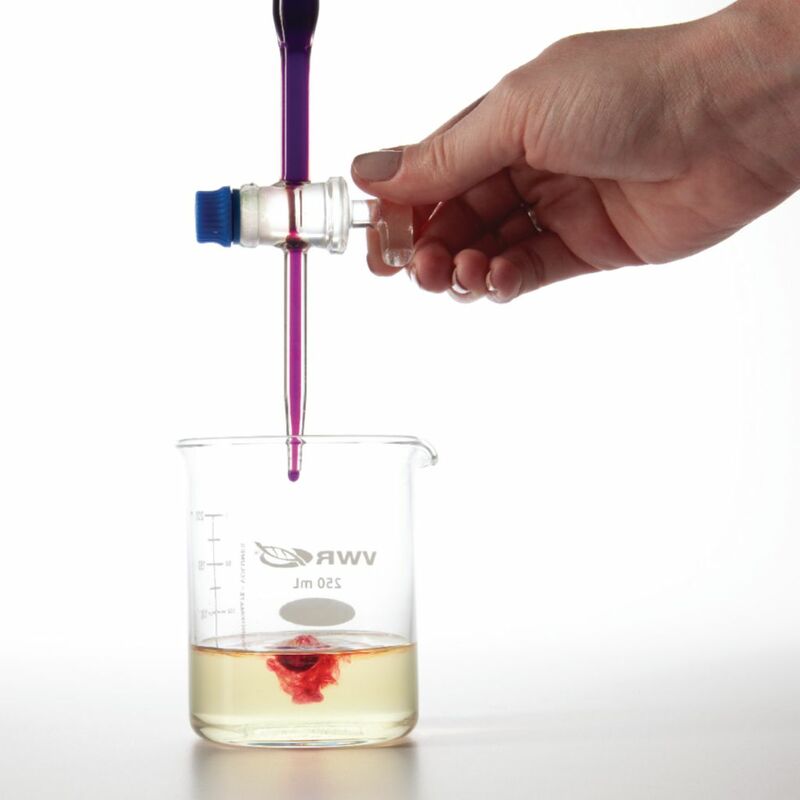 In this lab activity, students explore the concepts of oxidation-reduction reactions, solution stoichiometry, percent composition, and standardization of a solution. 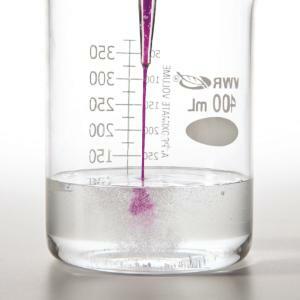 They will use an analyte titration to standardize the concentration of KMnO4 solution in order to ultimately determine the exact concentration of commercial hydrogen peroxide solutions. Includes phenolphthalein, potassium hydrogen phthalate, sodium hydroxide, potassium permanganate, iron ammonium sulfate hexahydrate, hydrogen peroxide, and sulfuric acid. Requires a burette, ring stand/clamps, volumetric pipettes, magnetic stirrer, and magnetic stir rod, available separately. Ordering information: Activity contains Phenolphthalein Indicator Solution, Potassium Hydrogen Phthalate, Sodium Hydroxide, Potassium permanganate, Ferrous Ammonium Sulfate Hexahydrate, Hydrogen Peroxide, and Sulfuric Acid. Materials required but not provided are Beakers, Graduated Cylinders, Burettes, Clamps, Ring Stands, Erlenmeyer Flasks, Volumetric Flasks, Stirring Rod, Balances, Volumetric Pipettes, Dropping Pipettes, Graduated Pipettes, Funnels, Paper Towels, DI Water, Ice Bath, Gloves, Safety Goggles, and Lab Aprons.